Lamb of God guitarist Mark Morton has led his million-album-selling, Grammy-nominated band to the forefront of U.S. metal. By combining explicit technique, angular off-kilter riffs and full-throttle sound, Morton continues to redefine the genre. He also worked closely with Jackson on his signature model, creating it the original Jackson way—with pencil, paper and imagination. The result is the Mark Morton Dominion™, a uniquely shaped and versatile guitar for all types of music. Its premium features include a 24.75" scale, quartersawn mahogany through-body neck, bound and chambered mahogany body, 12"-16" compound radius bound ebony fingerboard with 22 medium jumbo frets and shark eye block inlays, DiMarzio Mark Morton signature pickups with dual-circuit design (lead and rhythm), two volume and two tone controls, three-way toggle switch, two mini-toggle inside-coil selector switches (one for each pickup), compensated bridge with stop tailpiece, Jackson locking tuning machines, distinctive three-on-a-side Mark Morton Dominion headstock and gold hardware. 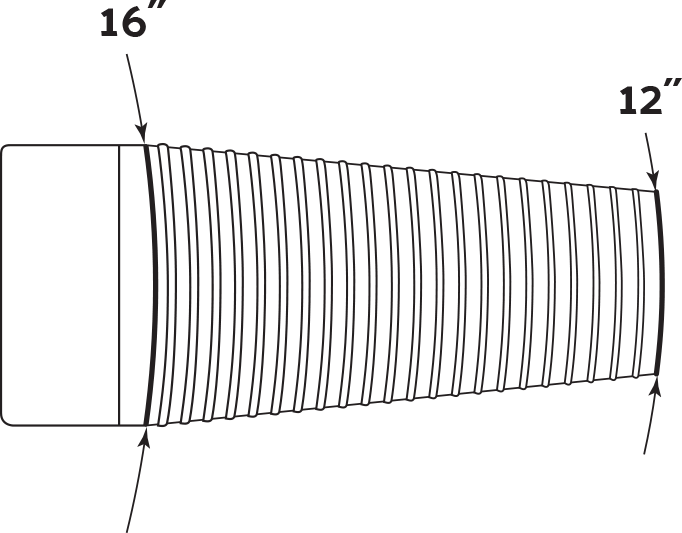 Morton demands a thick sound that responds well to a fast pick attack. 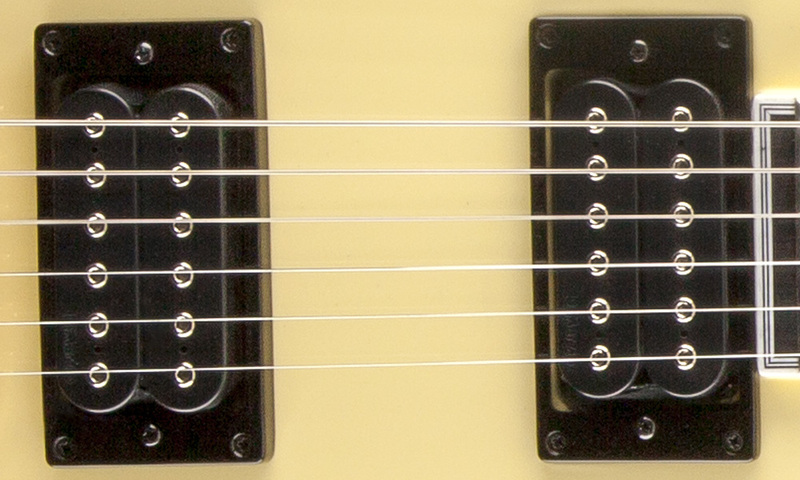 These pickups exhibit a warm tone with a ceramic magnet for speed. As Morton increases the amp gain, the pickup maintains a medium output for full-bodied solos and chords, perfect for the Morton’s signature sound. 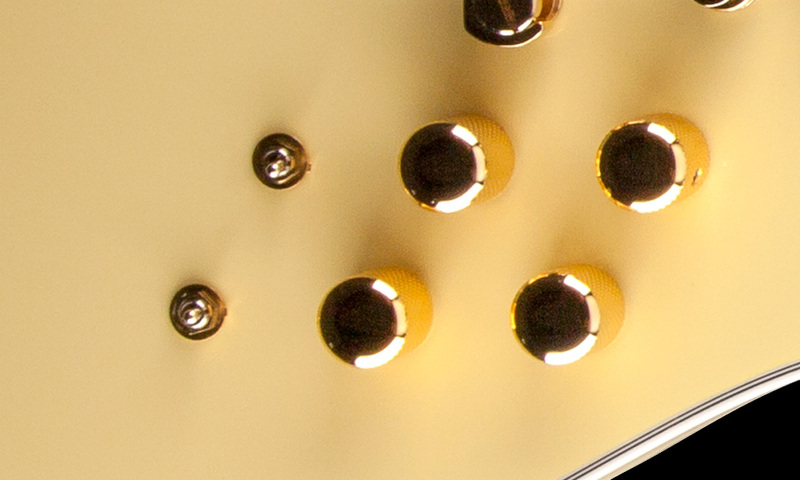 Each mini-toggle splits its dedicated pickup (bridge or neck) for single-coil characteristics and tone.